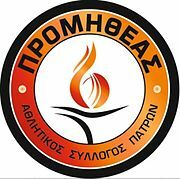 Promitheas signed Michalis Tsairelis. The 30-year-old Greek forward played for Aris in the previous season and he was the third top player of the club in minutes played and rebounds collected at the regular season. Tsairelis has also played for Olympiacos, PAOK, Larisa, Trikala, and Apollon Kalamarias in Greece, and CB Canarias in Spain.